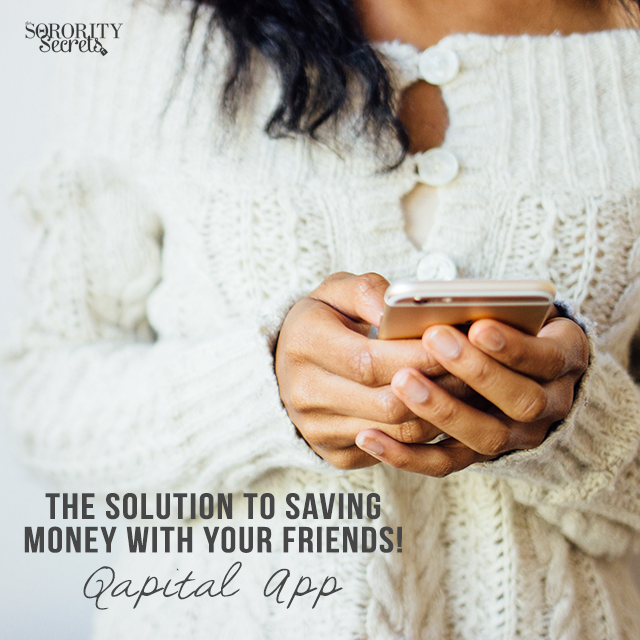 The Solution To Saving Money With Your Friends-- Qapital App! If you haven't heard about the Qapital App yet, here ya go! The Qapital App is the best solution to save money with your friends or partner without having to have a joint bank account! If there's a trip multiple people are wanting to go to and want to start saving for, just decide what your "goal" is and set how much you want it to automatically pull from your personal account and that's it. Once you've hit your goal, all you have to do is transfer that money into your bank and you're ready to book your flight or whatever it is that you've been saving up for! Pretty genius, right? You can read more about the app or download it here! Even though we are still lovers of personalized invitations in the mail and even email invites from online resources like Punchbowl, we are huge fans of a new way to send personalized invitations and it's through an awesome app called "Invitd"! All you have to do is download this free app, fill in the deets of your special event, add an image ( upgrade to allow for personalized images), then add your friends via their phone numbers and boom, a personalized text message invite is sent to them. It opens up just like it would via a Punchbowl invite and they have the ability to RSVP right at the comfort of their phone. You can get alerts when people RSVP too and keep track of who all is coming through the app as well. It's such an easy, fast, and creative way to send invites to your millennial friends, especially! 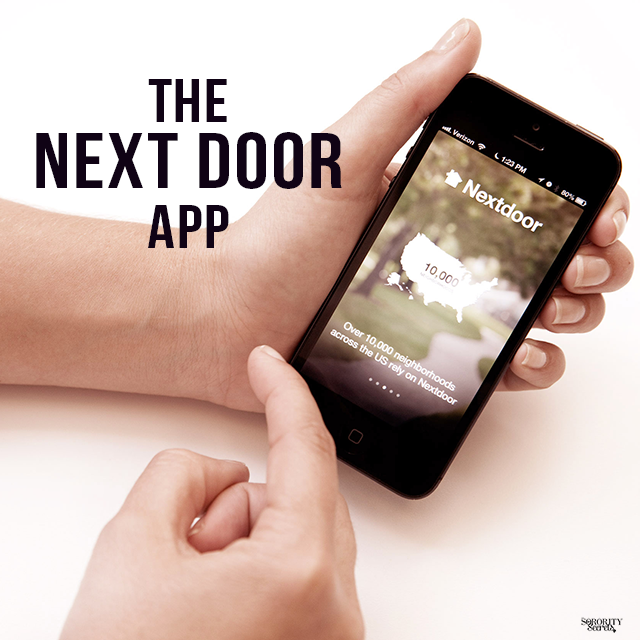 Try out the app and let us know what you think! Have you ever heard a really loud noise outside of your apartment, dorm or house and wondered what it was? Have you ever seen a suspicious individual in your neighborhood and really wanted to call the cops? We got wind of a super cool app to help you build a community with the people around you to temperature check your area and it's called The NextDoor App! This app is a free and private social media platform for you and your neighborhoods to stay in the know of neighborhood activity. Co Founder Karen recently found the app to be useful when she heard a car alarm go off in her neighborhood at an odd hour. Based on the app, she was able to read that a couple of blocks away there had been some car break ins. To be proactive, one of her neighbors called the police to report the suspicious car alarm going off. Though it ended up being a faulty car alarm, it made both her and her neighbor feel protected and knowledgeable about their surroundings. Click here to download the Android version or here for the Apple version! 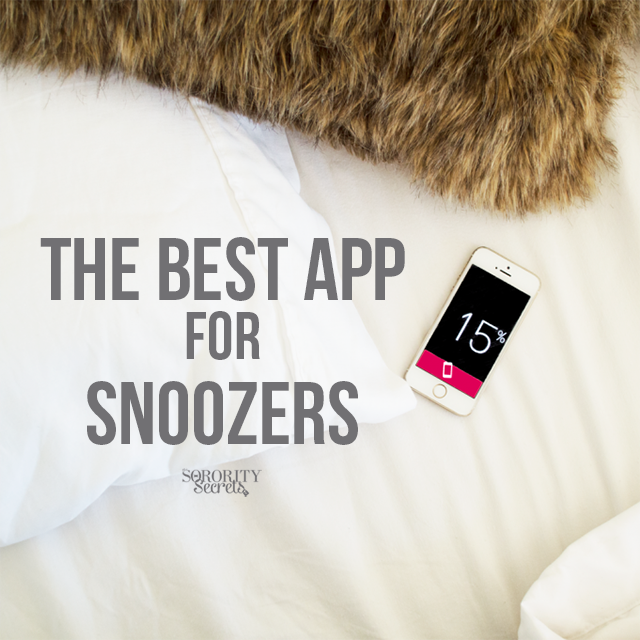 The Best App for Snoozers! We're all guilty of hitting the snooze button- we're tired, we're grumpy, and we just want 10 more minutes of sleep! Co-Founder, Sakura, says she's totally a victim of the snooze button and snoozes for about an hour until she discovered this magical app called the Wake N Shake app. The app is unfortunately NOT free, but it is totally worth every cent! Basically, how it works is you set an alarm, select your shake level, and once your alarm goes off in the morning you have to shake your phone until it hits 100%! Even if you slow down a bit, the percentage will go down and don't underestimate the shake levels because they're all really hard. The objective is for you to literally shake yourself awake! There's a whole app review from the individual ladies of Bloguettes on the effectiveness of the app. You hate the app, but it really works! Postmates: Food Delivered To Your Door! So we are a little obsessed with the Postmates' App! Keywords: On-demand food delivery ALL THE TIME! How perfect is that? If you're just too busy studying or you had a long day at work and just want to go home, the Postmates app provides 24/7 on-demand delivery services for any restaurant or store in select cities (there are a lot like San Francisco, New York City, Chicago, D.C., L.A., Austin, Boston, Phoenix and Seattle). Not to mention, Postmates offers new users a $10 referral credit off delivery services from any restaurant or store to your home or office, plus you can get a $10 credit for each new user that you refer to Postmates. Try Postmates! Get the app here: bit.ly/1hRSGkD. Use our referral code, lq2j, for $10.00 in delivery fee credit. Just download the app, go to your profile and enter our promo/referral code (lq2j), then you're all set to order food! Our favorite place to get food from right now is Chipotle (haha)! You can literally add all of the ingredients you want as if you were ordering it in person. Gotta love it!